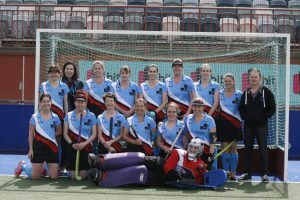 North Canberra Eagles Hockey Club is a successful, friendly hockey club formed in 2017 when the teams and officials from the long-established Daramalan Eagles and North Canberra Hockey Club combined to create a larger and more diverse club. While the identity is new, our shared traditions remain unchanged. We all help each other to be the best we can be by promoting a club environment that encourages competition that is also fun and friendly. We have a new, active management team from all walks of life and each member is passionate about delivering the best possible experience for our members through their participation in hockey. Our current focus aims to build the capacity of our Women’s CL1/2 team list for the future and we are looking for players who believe they have the capacity to perform at an elite level and particularly those that might be keen to help develop the younger players around them for the overall betterment of the Hockey competition in the ACT. If you feel that you will be waiting for ever and a day before you will get an opportunity to play in the Capital League grades with your present club, we want to hear from you. If you are a young player who wants to progress but feel blocked where you are playing now give us a call. If you are just growing tired of your present club and want a change of scenery we will find a place for you. If you are interested in a leadership role in the playing group, then contact us to see what we may be able to offer you in support of your aspirations.